So three months ago i was at one of my local firearms dealers when in the corner of my eye i saw a milsurpish looking rifle among all the nearly new rifles. He showed it to me and said it had hung on a friend of his home for 30 years but was never shot. I noticed it only missing the extractor and cleaning rod. The rifling is very dull but sharp lands and grooves. 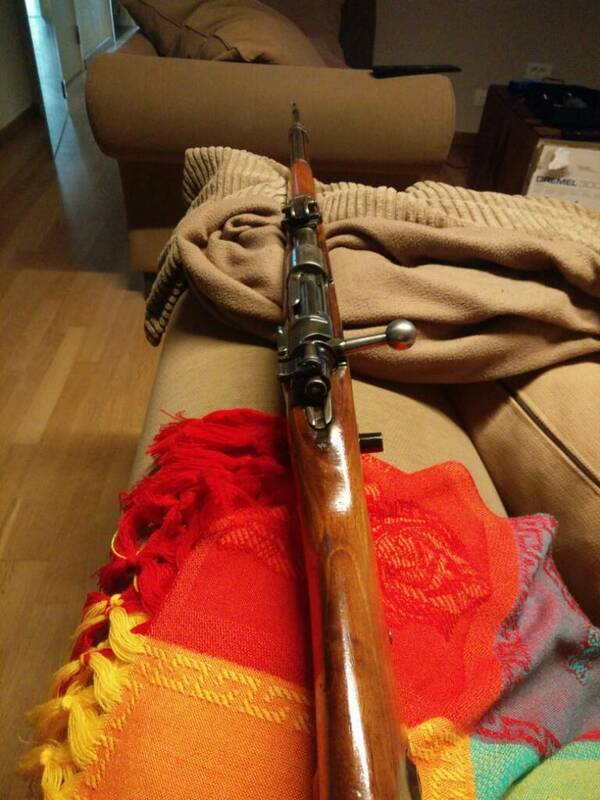 It was a rifle that just had to be gone and swift so he priced it at 50€...couldnt let it sit there for that price. So it followed me home and by now i found an extractor and shot it. Light 8x57 loads still shoot wayyyy to high but i dont mind. Stock has some repairs on it and very glossy but its owkay for an old dog. Not matching numbers on the bolt. The other pistols in the pictures i picked up the same day at another dealer but that comes in another topic. No collection is complete without a Gew 98. I'm still looking for one in which I don't have to mortgage the house. Damn...better check and see if Interpol has a Red Notice out for you, because you did steal that. 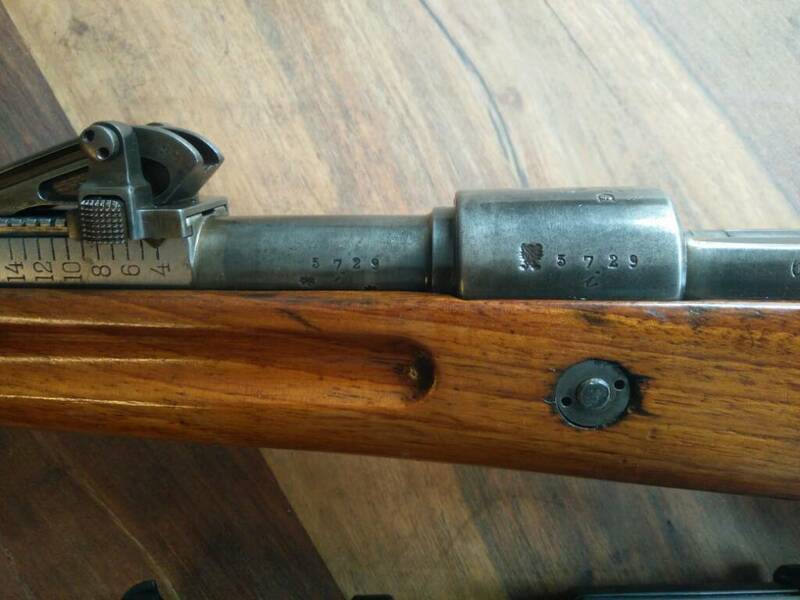 How the rifle survived WWII and not turned in is anyone's guess. What a great find! Hope you get to shoot it soon. Ah, that's the one from Hervens? Very nice find!! An extractor and a cleaning rod is indeed not that hard to find. K31 i already got but can highly recommend. The lee is in worse shape then mine (stil not bad shape). The webleys i really really want...455? 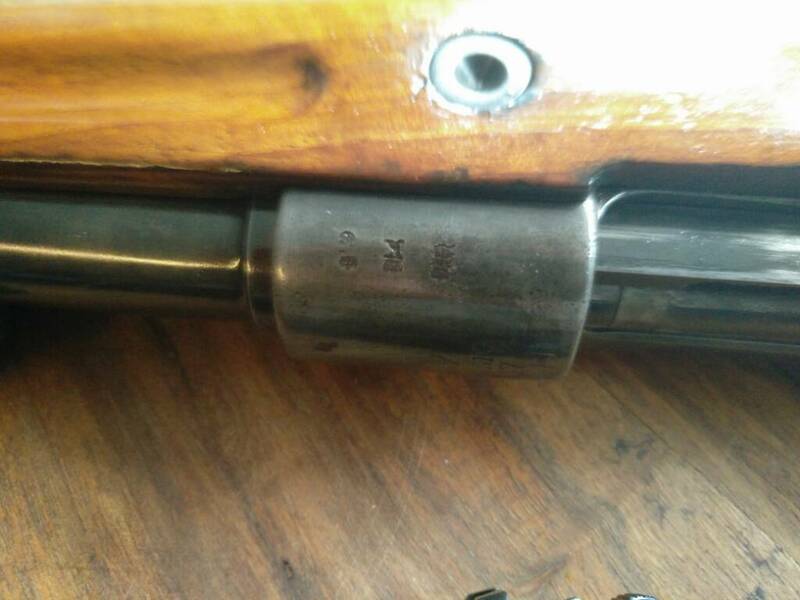 The "new" one in .303 looked very well, wouldn't be surprised if it was refinished somewhere. Anyway, price was ok imo: 350 euro (same as for the one in .22). No idea on the price of the Webleys.....he had 5 of em in a box, all different versions and finishes by the looks of it. 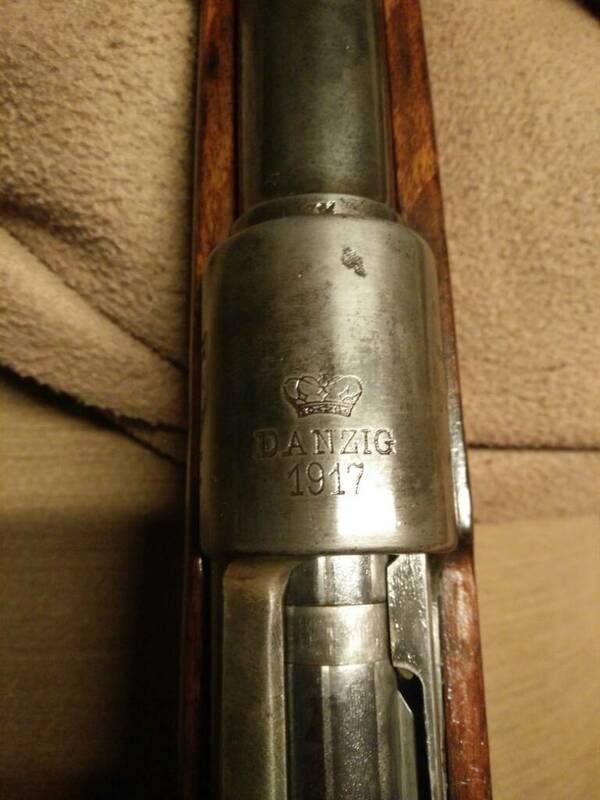 K31 I got myself about 2 months ago, indeed a goodie, goes well along my 2 other swiss rifles.